The residential heat pump range was developed for easy retrofit instal- lations of any existing hot water geyser in the South African market. The installation methodology has been developed to be completely non-intrusive, meaning your geyser warranty remains unaffected. The installation methodology furthermore contributes to your monthly saving, while complying with the national laws, bylaws and regulations. Any client using a certified installer can therefore; rest assured that their new investment will result in a saving on their electricity bill. The Enerflow commercial and industrial hot water solutions can be customised to your needs to integrate with the existing infrastructure and can even be built onsite where plant room access is restricted. Our team of specialist engineers has completed numerous first-of-a-kind projects over the years and these include solar hybrid systems. Projects also include collaboration in the agricultural sector with root-zone-heating where Enerflow heat pumps were successfully employed to increase the annual growth season – and resulting produce - by 30%. The commercial and industrial range includes locally manufactured units specifically setup for the preferential local procurement requirements within the commercial and industrial sector. Our swimming pool heat pumps have been designed to not only be aesthetically pleasing but also to be reliable, highly efficient and easy to maintain. The entire range is equipped with high-quality titanium condensers that are suitable for sea, salt and fresh-water pools. We cater for all pool sizes and temperatures from a Jacuzzi to an Olympic size swimming pool. We have developed an advanced pool heat pump sizing calculator to ensure we can assist customers in selecting the correct heat pump for the task. We look at the combined influence of factors such as daily sunlight hours, wind chill factor, evaporation and ambient temperatures to get you the correct size heat pump. A heat pump’s heating is not limited to daylight hours only and can heat water efficiently 24 hours a day. Enerflow is competitively priced against other heat pumps and even solar water heaters, ensuring you have a short payback period and a great return on investment. Enerflow heat pumps can save 50-70% of the energy required to heat water. 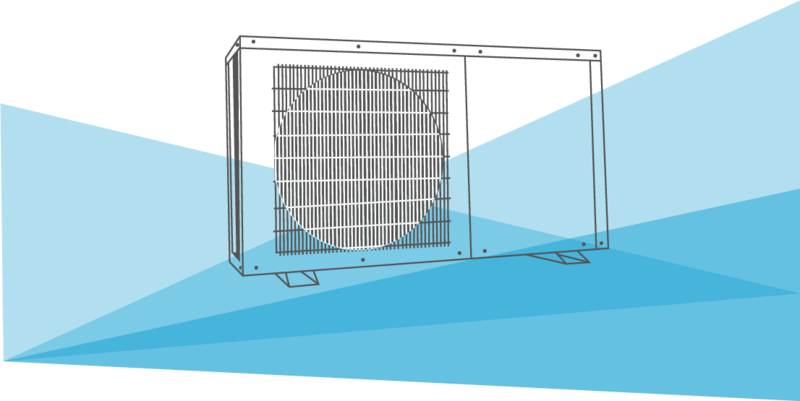 Although heat pumps do generate some noise, our range is designed to operate as quietly as practically possible to ensure as little disturbance as possible. Will help you save even more energy by only operating the heat pump during optimal hours of the day. Only quality parts are used for a long service life. We strive to have all spare parts available locally to ensure as short as possible turnaround time in case of servicing and support. 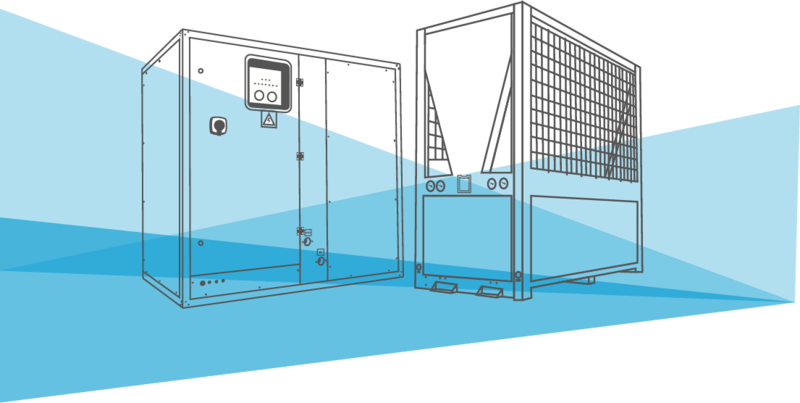 The Enerflow heat pump uses an air source vapour compression cycle to transfer heat from the outside air into the water stored inside a geyser. Here we explain in short as well as in detail on what a heat pump does exactly and how it benefits you. A heat pump is, in essence, an extremely energy efficient heating and/or cooling technology, not just making a substantial contribution towards reducing your energy consumption, but has other benefits as well. See what makes it different to i.e. solar.